For starters, let’s break down what exactly the Internet of Things is. Most simply put, the Internet of Things is the billions of technological devices that currently exist that are able to connect to the internet; it is the giant internet network where our “things” can communicate to each other and exchange/collect data points. Almost any device can be part of the IoT, however, it is important to understand that the IoT usually refers to objects that we wouldn’t necessarily expect to have network connectivity, such as cars, wearables, and home appliances. These types of objects not only do we not expect to have internet connectivity, but also have the capacity to communicate with the network independently of any human interaction. Objects like Smartphones and laptops do not really count as part of the IoT since these are objects that we expect to have internet connectivity, as well as require human interaction in order to communicate to the larger network. Essentially, Internet of Things refers to the way in which all of our devices seemingly “talk” to each other which, it turns out, they kind of do. 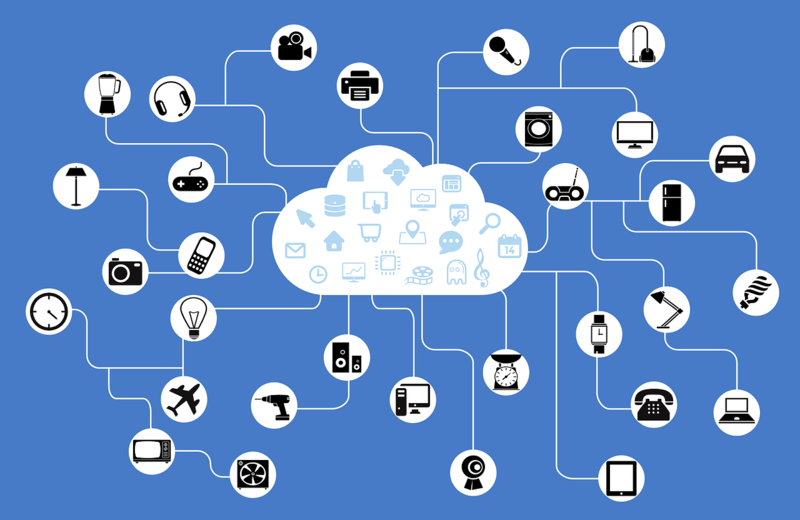 The IoT allows those devices with internet connectivity to connect, interact and exchange data with one another. The IoT allows billions of devices to become connected across different networking types, allowing devices that could not previously “speak” to each other exchange information. The IoT brings all those networks and devices together, making our technological world feel more interconnected. In the past, we have discussed the importance of big data and the ways in which it can be utilized in order to help improve user experiences in a wide variety of industries. Big data is utilized by many companies in order to gain information on the ways in which their device is being used, as well as insights into current market trends. Using big data helps companies be able to have access to a wide variety of data that they haven’t before, as well as helping companies make more informed decisions in their design strategies. Big data is a term that is used to describe data that is so large in volume, that traditional software applications are unable to adequately handle the data set. The Internet of Things is not the same thing as big data, although it is hard to discuss one without the other. The IoT, in and of itself, is not big data. However, the IoT has the capability to produce big data in the ways in which data is exchanged and collected through the network of connectivity of the IoT. The IoT can create large streams of data that can then be analyzed and utilized in the same way as big data would. This is why it the two terms are often confused with each other. However, IoT generates data points in a different way than big data would, so it is important that data processing software is able to recognize the distinction in order to generate accurate insights. Much like big data, the Internet of Things has the potential to be a huge benefit to the business world because it allows various different industries to now have access to previously unused data about their products, therefore allowing them to integrate this data to make changes and enhance their design process. However, big data and Internet of Things need to be recognized as being two different entities. Big data is focused primarily on data, whereas the IoT is focused on network and connectivity. While different, both the IoT and big data have the ability to provide previously unused data that can allow for big and innovative transformations.